Conveniently located in Thermi, just 2 km from Thessaloniki’s Macedonia International Airport. 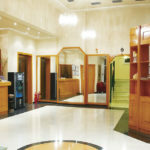 The hotel provides wireless internet access throughout the hotel and it is free of charge. Visit the buffet in our restaurant and start your day in the best way. Conveniently located in Thermi, just 2 km from Thessaloniki’s Macedonia International Airport, Iris features free Wi-Fi throughout and free private parking. The air-conditioned rooms have soundproofing and private balconies. 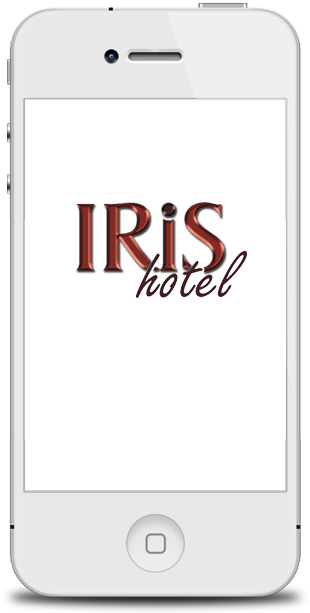 Featuring modern decoration and carpeted floors, rooms at the hotel Iris include a TV and telephone. Each has a private bathroom with toiletries and a hairdryer. A refrigerator is also provided. Turn-down service is provided upon request. A buffet breakfast is served daily in the dining area. Guests may also enjoy their breakfast in the privacy of their rooms upon extra charge. Drinks and coffee are provided at the bar. 24-hour room service and wakeup call service are available. The time of arrival in all rooms and suites of our hotel is 14:00 noon, while the time of departure is 12:00 noon. If your reservation is adjusted, please let us know. All babies are welcome! Up to three children under 6 years stay free of charge when using existing bedding. All children under 2 years stay free of charge for cots. All children under 6 years stay free of charge for extra beds. Finally, all extra older children or adults are charged 10 € per night for extra beds. Any type of extra bed or baby cot is provided upon request and relevant confirmation from the accommodation. The additional benefits are not automatically calculated in the final amount and must be paid separately during your stay. Languages spoken by our hotel staff, apart from Greek, are English and Swedish. Rooms are cleaned and ventilated daily by the specialized staff of our hotel between 08.00 – 14.00, where the heating / air conditioning of the rooms should be closed. For hygienic reasons, please do not store dishes, fruit, etc. in the fridge of the room.